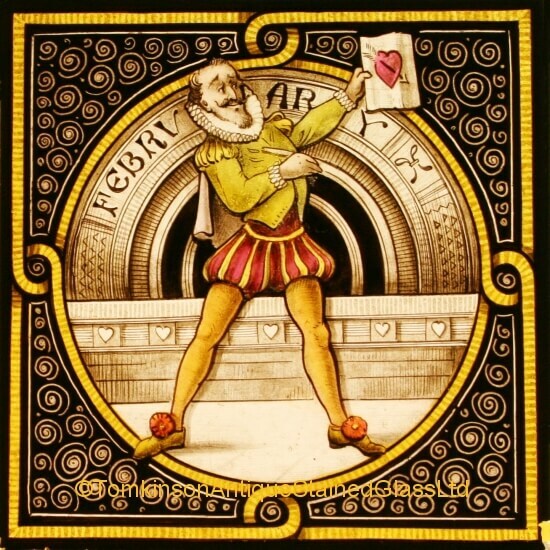 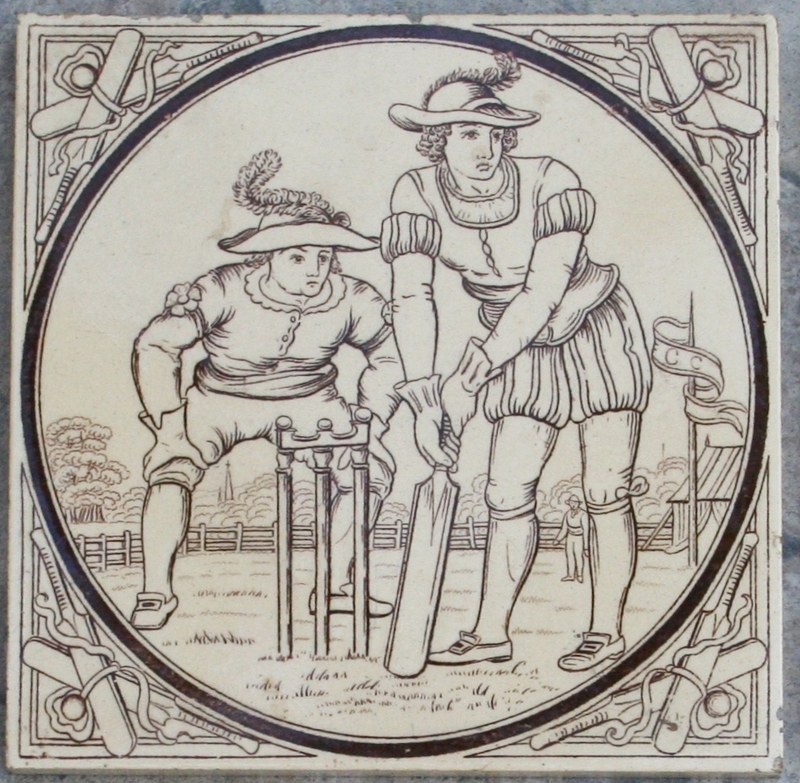 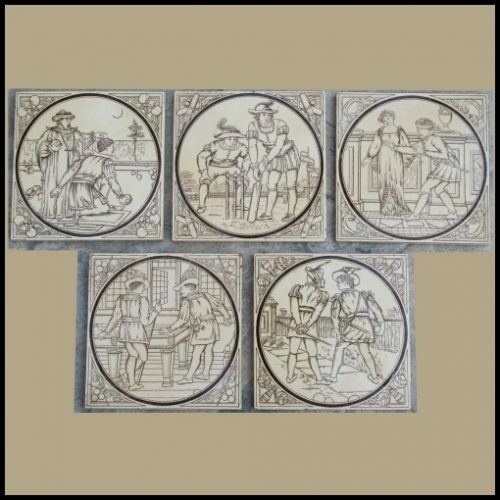 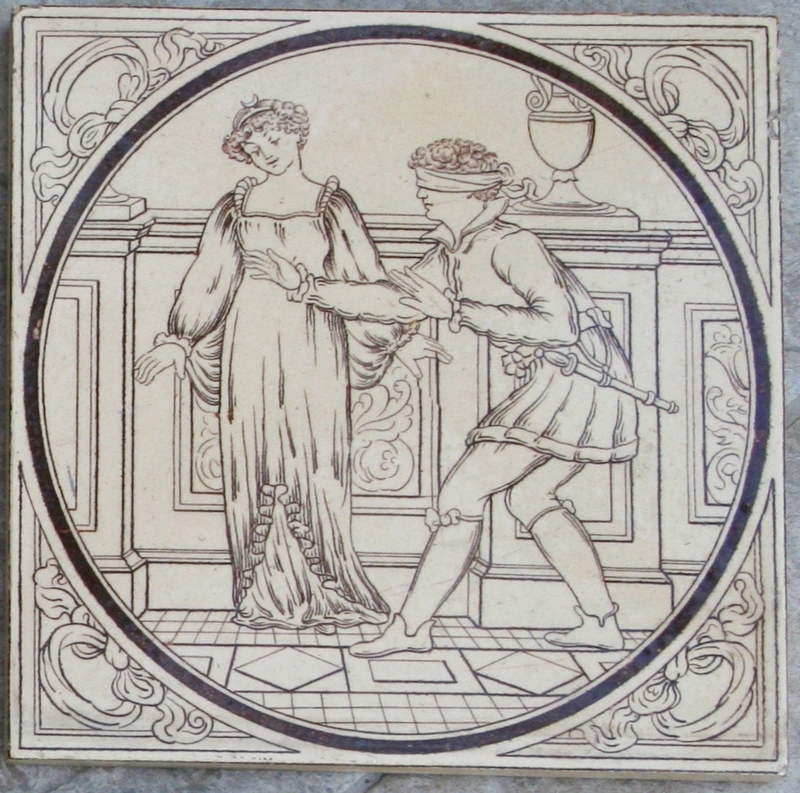 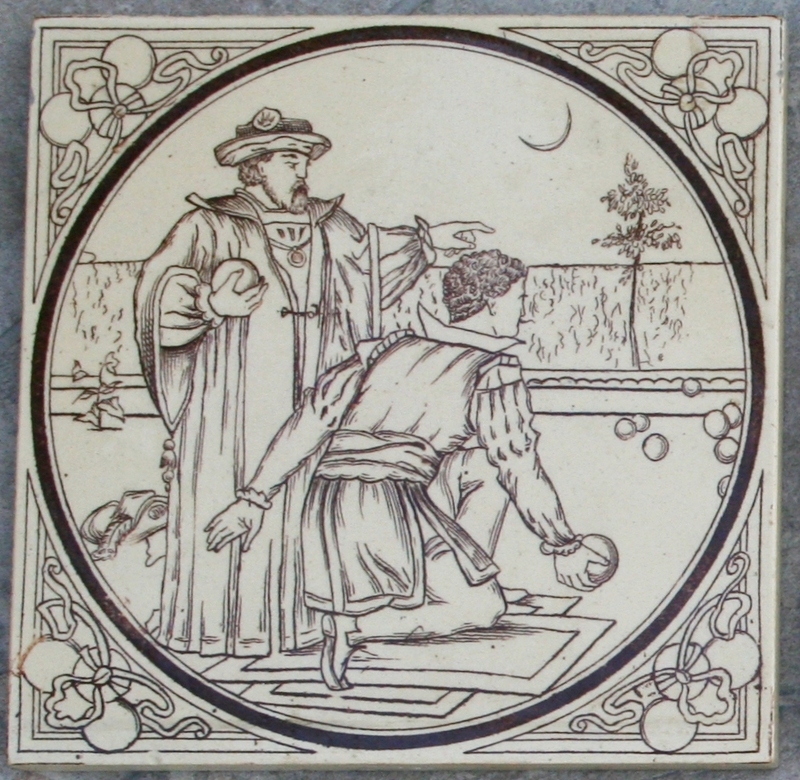 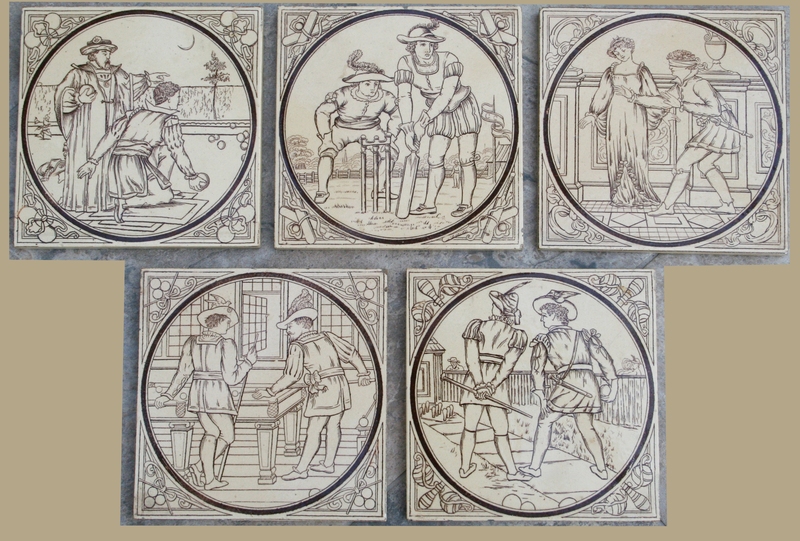 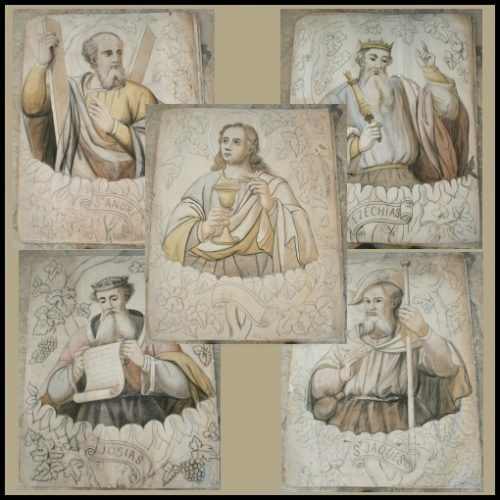 5 Minton tiles designed by John Moyr Smith featuring Medieval sports, printed in brown on a cream background. 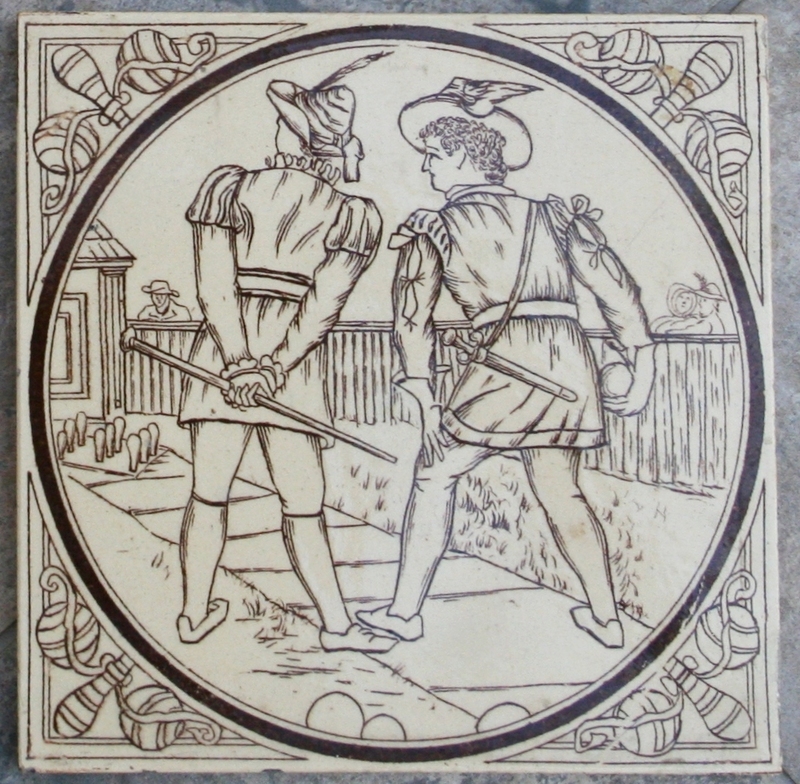 The reverse reads – Minton, Hollins & Co. Patent Tile Works Stoke On Trent. 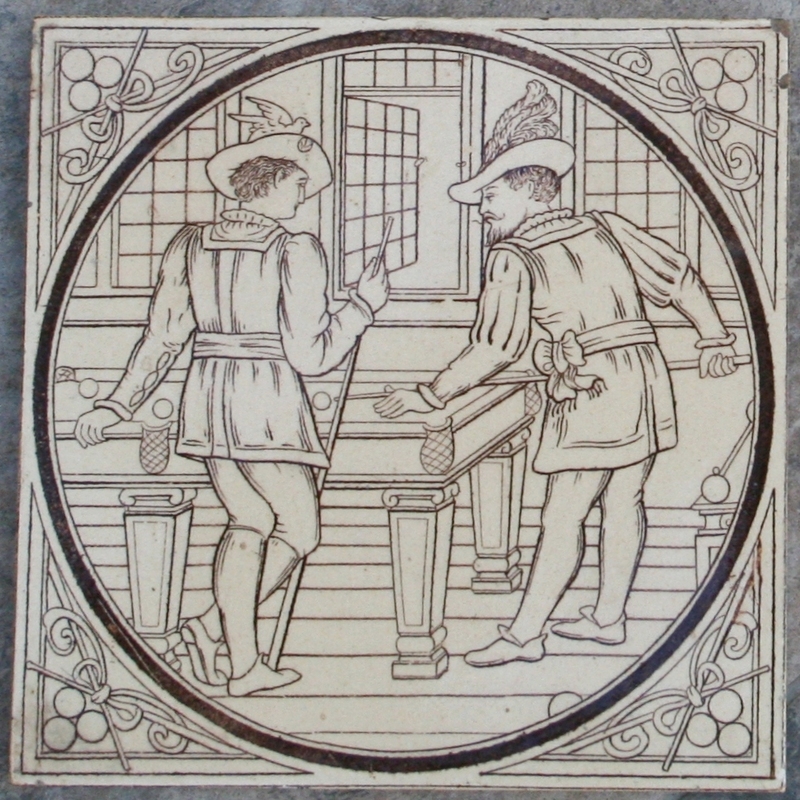 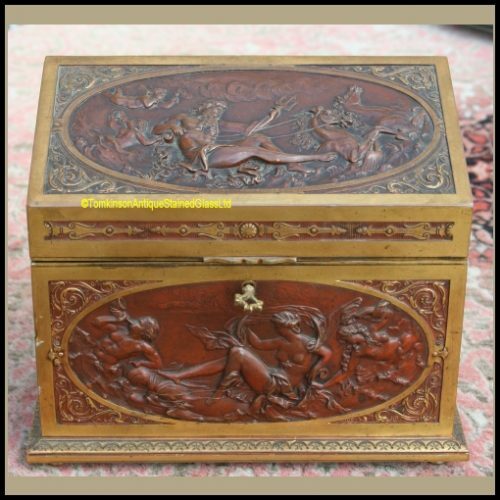 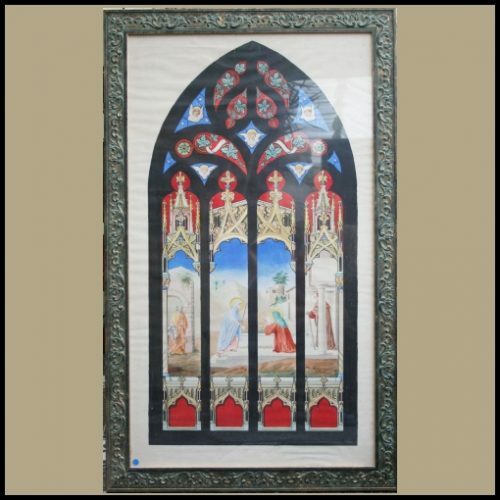 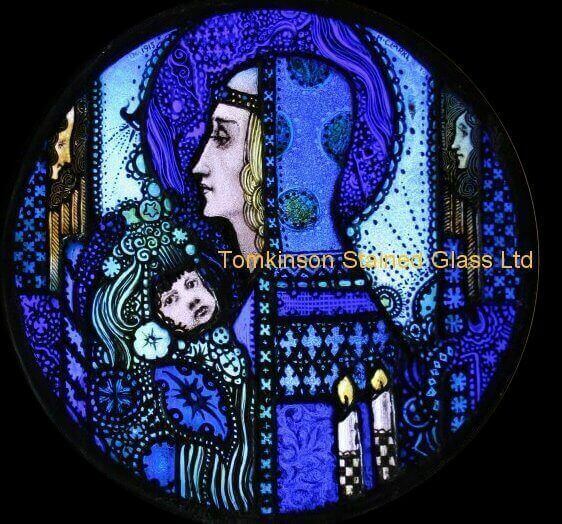 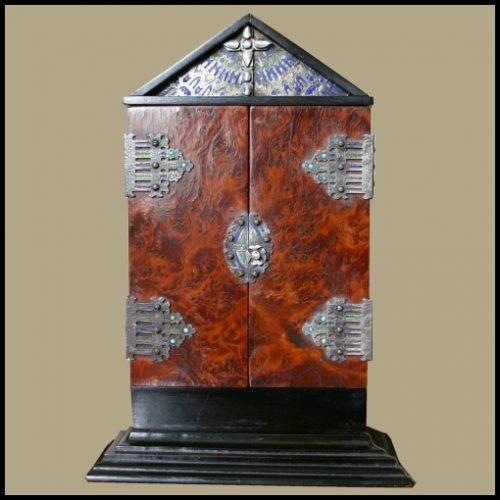 In excellent condition with no chips to glazed surface.